LASIK surgery has been growing in popularity over the years, allowing people who depend on corrective lenses (i.e., glasses and/or contacts) to experience the freedom from wearing them. LASIK is just great for addressing refractive errors, which you may know better as myopia (nearsightedness), hyperopia (farsightedness), and astigmatism. Yet while LASIK is very popular, it is not necessarily the answer for everybody. The team at our eye care center would like to take a few moments right now to look at candidacy for LASIK surgery so that you know what to expect from care. LASIK is a refractive surgery that reshapes the cornea. You see, refractive errors are caused by imperfections in the cornea that makes light passing through the eye focus improperly on the retina, the light-sensitive tissue at the back of the eyes. By improving the way in which light focuses on the retina, overall vision is improved. The best candidates for LASIK surgery are people who have healthy and normal corneas and suffer from no health conditions that would prevent them from undergoing surgery of any kind. It's important that patients be 18 years old or older, have a steady prescription for at least a year, and have realistic expectations about what LASIK can achieve. By meeting with eye care experts, you'll be able to learn if LASIK is right for you. It's important that patients have a steady prescription prior to undergoing LASIK so that doctors do not overcorrect or undercorrect the eyes during surgery. When a patient's vision levels out, that also means the quality of the LASIK surgery will last longer rather than changing in a short amount of time. Dry eye is a common side effect for LASIK patients. Because of this, people who have had issues with dry eye over time are considered poor candidates for LASIK. 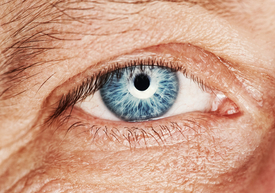 The surgery can actually make dry eye worse for such a patient, leading to major discomfort. Rather than risk this, it's better for patients not to undergo LASIK. Are there alternatives to LASIK surgery? Yes, there are many to consider. If you are deemed a poor candidate for LASIK, there are a number of other surgeries out there that may be helpful to you. If anything, there are always traditional corrective lenses to consider. We will be sure to look over all of your treatment options with you in greater detail so that you can make a confident choice when it comes to vision correction. To learn more about LASIK as well as LASIK alternatives and other related matters, be sure to contact our vision correction practice today. By discussing the matter with our eye doctors in Salinas and Monterey, you'll be able to get all of the information that you need to make confident decisions about eye care.